Siam Kyudo Kai: A collection of Kyudo photos photographed by Alain Scherer. 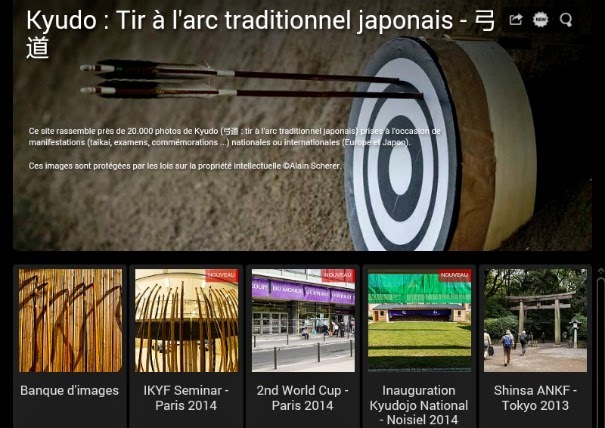 A collection of Kyudo photos photographed by Alain Scherer. Alain Scherer, a professional photographer, has taken a lot of photos of Kyudo activities through several year. Not only his photo is beautiful but it had a knowledge of Kyudo inside it. The correct movement of hassetsu, Dojo setup, Yawatashi, Kyudo seminar and competition. You can follow the link below to his website. Thank you to Alain for sharing the pictures and sending us an information of his website.